It is the time of holidays and we know all of you must be waiting to go out to the shopping malls and there are some who are still waiting for the huge sales. Buying a gift for loved ones brings out the holiday spirit in you. Irrespective of sales, this particular list suits all of you and whether or not you are done shopping is not concern. For those of you who are still looking for awesome gift ideas, this list is especially for you. This list of 30 gift ideas for the holiday season is perfect for those looking to shop for their loved ones; family, friends etc. The best part is that you don’t really need these items on sale anyway, because they are not very expensive to begin with; well, most of them at least. The holiday season is just an excuse; you can buy these gifts, any time you feel like because they are not going anywhere. If you are looking for DSLR-type results but have the size and weight, this is the camera for you. It has a 16 Megapixel APS-C sensor and is really fast too with approximately 10fps shoot speed. It can detect phase for DSLR-like focus and can shoot an HD movie at 60p/24p with exposure control. You can share your pictures over WiFi too. For all you digital artists down there, take a look at this guy. You can edit photos and create amazing artwork. It has a multi-touch interface allowing you to pan, zoom, navigate etc. It has 2048 pen pressure sensitivity and user-defined ExpressKeys. You even have finger-sensitive Touch Ring providing control of scrolling, brush size etc. This guy here is made of synthetic materials and is perfectly ideal for monitoring calorie burning which will obviously help you in weight loss. It is recommended by professional athletes and it fits perfectly on your wrist. It is a handy little gadget if you are into working out and staying fit. These headphones come in a medium size and a folding steel design. You have an on-cord mic and handsfree with 40mm drivers for good sound. It works with all kinds of devices including the iPhones and the iPad. The sound is crisp and perfect for your average daily needs. This is the Thor’s hammer and an 8GB USB flash drive. What more can you ask for? It’s light and it doesn’t require any installation. It has a metal design and is guaranteed to work with absolutely any operating system. The transfer rates are about 25 Mbits for read and 8-12 for write. Every one of you out there probably played with RC helicopters. Well, for this guy, you don’t need a remote per say because that is an application on your iPhone. 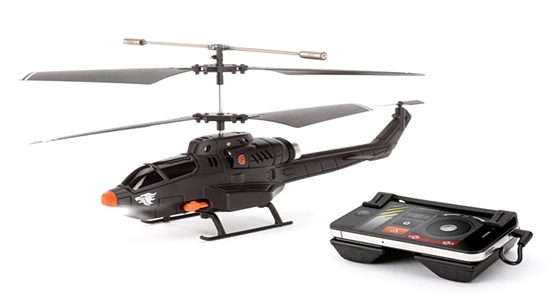 You attach a device with your phone and run the application and fly the copter. It’s as simple as that. Enjoy! Using this handy little gadget you can charge your iPod, iPhone, Android, BlackBerry and other mobile devices. It includes three different tips and a wall adapter and pouch. It can be recharged using USB or wall outlet and can provide one full charge for one device approximately. Besides, it looks super awesome. The name says it all. 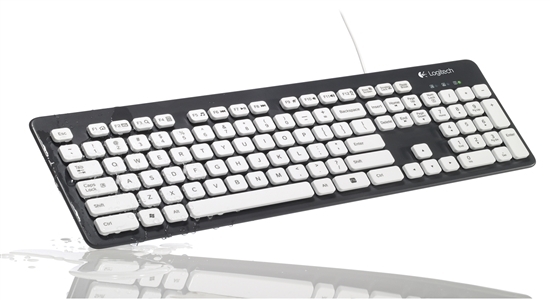 This is a washable keyboard and ultra-durable too. Which means it can take the pounding and still come out looking clean. It’s a comfortable design meaning your hands will not get tired all that easily and it does look great. It also features 12 shortcut hot keys on top of which it is plug-n-play. This is a streaming stick and perhaps the easiest way to add streaming to your HDTVs or blu-ray players and other supported devices. Just plug this stick into your TV and you will experience the streaming of your life without many hassles. It’s that simple. The shape of this mouse is very elegant. It has a rubber grip and has nice contours to fit your hand nicely. The scrolling is really fast and you can literally fly through the web and documents, of course you can customize that according to your needs. It is wireless too and has programmable buttons. This portable speaker connects with your mobile phones, computers, tablets, you name it. You just need Bluetooth and you will have it going. It can play continuously for around 10 hours with its rechargeable battery and has a wide audio spectrum delivering extreme sound. Compared to the last one, this guy has 62% more pixels, 25% better contrast. It has new font styles and adjustable sizes with eight weeks’ worth of battery life. It can hold up to 1,100 books and comes with WiFi. There are over a million titles in the library less than $9.99 and there is a massive book selection for you to choose from. It can track your running and biking very precisely and wirelessly upload your workout data to motoactv.com. It also has an 8GB memory and can learn what songs motivate you. You can set goals and your audio coach will keep updating you. It is also sweatproof, scratch resistant and touch screen. This guy has dedicated 6-inch subwoofer that provide heavy bass. It also has two 6-inch coaxial drivers delivering clear vocals and crisp highs. You can plug your iPod or iPhone and enjoy the music while still charging. It’s exciting. This is an ultra-portable USB drive with a very lightweight design. You do not need any drivers to run this device and it works with USb 2.0/1.1 port 3 and basically every OS out there. It has a metal USB design and looks adequately decent. These guys feature Atlas and CMMD Transducers and carry a slipstream port design. They feature a massive 110 watt digital power with DSP with computer optimized equalization and optimized compression topology. It is compatible with iPod and iPhone and not computers. It is very portable with 2 hours of battery and adjustable 90 degree hinge. It features a full volume control and produced pictures and videos in HVGA (480 x 320). This is an interesting thing to actually buy. It has the traditional appearance of a table cloth. It appears to be a floating tablecloth. The table is made of acrylic (Lucite). It’s just a table and it looks as if it is just a table cloth floating. This strong man can hold two hold toilet rolls at the same time. The manly figure is made up of Perspex and the pole is made out of anodized aluminum. It’s around 13cm tall with a width of 40cm. it can attach itself to wherever you put it and is perfect for ceramic. Do you know that moment in winters where your feet just won’t get warm? 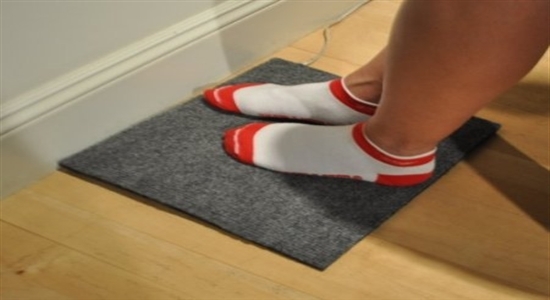 Well, this mat keeps them warm as you long you keep your feet on it. It is plug-n-play and it uses very less energy. It has a one-year warranty and is made in America. Lamps are the thing these days which is why they keep coming with awesome designs every day. This one is a glowing chameleon which matches the color of the surface it’s on. Moreover, the color cycle make it change colors randomly and the fun part is where you squeeze it and it stays thatcolor. The bookends were designed by Karim Rashid and it is a unique and an interesting design. It is actually based on a 3D design of his own head and is made of rubber-coated stone resin which stands 8-inch tall. It is available in black/gold or white/pink. You know when you are looking for deer heads to hang on your wall and you realize they are too expensive. Well, this may just mimic the general shape of a deer head but it certainly is a lot more creativity and looks kind of vintage. This is a handy tool holder for your table and it can help you keep your workspace free. The magnet holds on to papers clips and other steel-y stuff and can act as a paperweight as well. It weights around 2.5 pounds and is really durable. You know exactly what this device is don’t you? It is perfect for your bathroom. You know when you go into the bathroom and you bang your head here and there looking for the light switch. This guy stores light and keeps glowing so you can find your way easily without hurting yourself; it gives out a cool green glow. The construction is durable and it has a chrome finish. It is self-powered so you don’t need extra power. Turn the water on and it starts working. You have LEDs changing the color according to water temperature and it is removable and of course cleanable. It gives a cool colorful glow to your showering experience. Have you guys seen the move cast away? Well, this is a replica of Wilson from that very same movie the cover material is Plyurethane and has 18 panel machine sewn construction. Just so long as you like volleyball, this is awesome. This certainly is an interesting table-top clock. This is a 12-hour clock and flip-down hour and minute display (just like on the HTC phones). It is gear operated and of course you can adjust the time. It is powered by 1 D battery which is not included in the package. We know that you guys are crazy about your Apple devices and the way it looks. Well, now instead of the fruit magnets that you put on your microwave or fridge and freezer, why not use Apple apps to do the same. It includes 18 different magnets. Use your favorite app to hold your favorite take-out menu on the fridge. The name says it all. This is a duvet. It has a tranquil fern pattern in plum and pewter that brings out a very sophisticated natural touch to the product. It is made out of vat-dyed Italian cotton and it reverses easily. It can be washed in your machine and it looks really elegant.